Yes, as I said, it's not a glaring flaw but it was an easy fix. So I fixed it (and I also edited the Sweet Down Low version). Download BaseGame-RollingHillsDEFAULT if you CAN NOT shift objects up and down OR don't want/can't use the Sweet Down Low version. 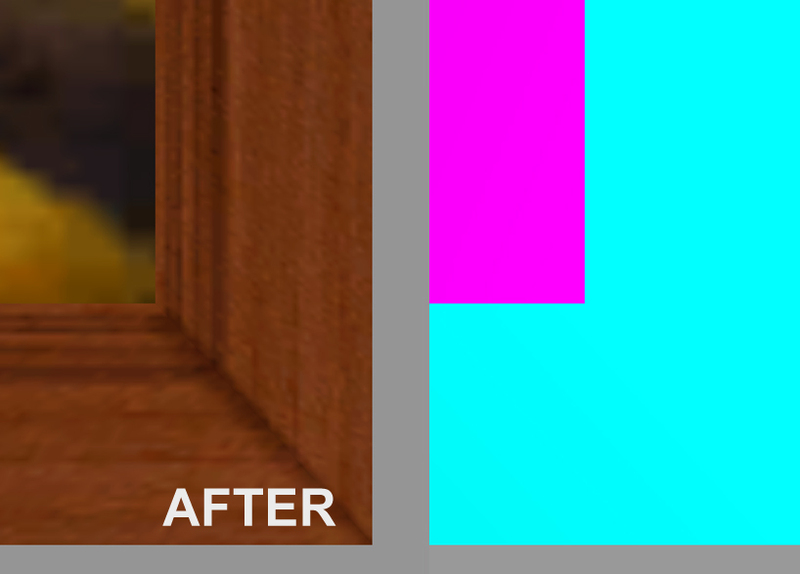 Download SweetDownLow-RollingHillsDEFAULT if you CAN shift objects up and down and/or want the Sweet Down Low version. Jane over at threadandsandpaper made default replacements of a lot of Maxis and custom meshes that are lowered to the ground. She did this because shifting objects down can cause them to get darker. Since the meshes are already lowered as far as they can go and can only be shifted up, this is avoided. Just plop the file in your downloads, there won't be any cc star so no need to worry about that! And if you download the Sweet Down Low version, just let my file overwrite the original! Michelle for the frame recolor used in screenshots, MilkShape, SimPE and Jane for the Sweet Down Low version. Oh yeah, and PhotoShop CS2 too, lol. 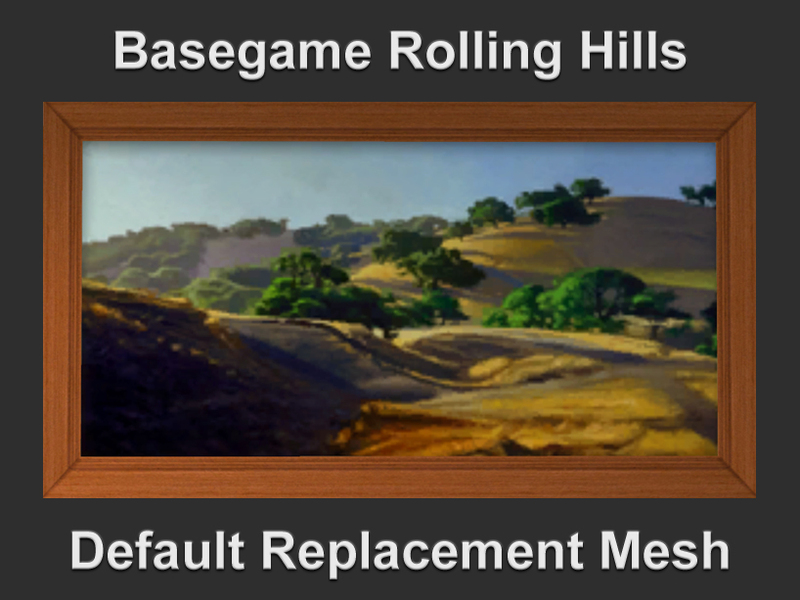 BaseGame-RollingHillsDEFAULT.rar | Description: Download this one if you can&#039;t shift objects OR don&#039;t use/want the Sweet Down Low version. 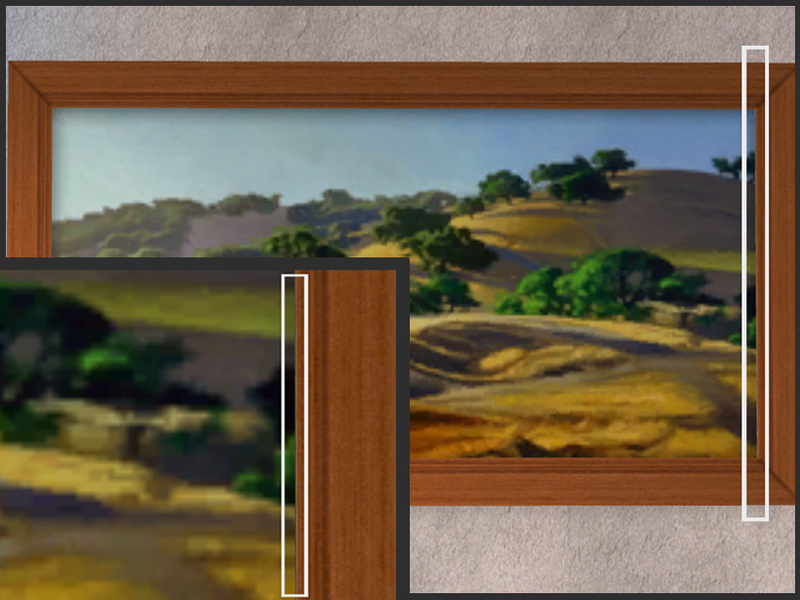 SweetDownLow-RollingHillsDEFAULT.rar | Description: Download this one if you can shift objects and/or want the Sweet Down Low version.